A few days ago when I was feeling particularly down and missing my mama, I got the urge to embroider. I picked up this sweet cardinal embroidery piece at a thrift store the other day. It was on an unfinished piece of linen, and the moment I saw the two sweet birdies I just knew I had to have them and do something with them. Cardinals instantly remind me of my mom, every time I see one. Since its summertime and Ive been living in my cutoffs, I figured the perfect project would be to upcycle some old cutoffs. As I was putting on the random patches and stitches, I remembered Kinsey's lace pocket diy from a few weeks ago, and wanted to do something similar to the pockets of these shorts. I picked a pretty 70's inspired floral fabric and did random colored contrast stitching around them. I used to make things like this all the time, and I realized its been forever since I sat down and created a little something just for my own wardrobe. I spent hours sitting on my back porch, with the windows open so I could listen to Ray LaMontagne blare from indoors. There was a bittersweetness in the air while I thought of my parents and quietly sewed away at my patches. It was definitely soothing and healing for my soul. Blowfish Shoes is having a huge sale this week! 25% off everything plus free shipping! They tend to sell out fast when they have sales like this, so if you have been wanting to order something from them, you might want to this weekend! And speaking of sales, James and I are thinking of having a sale on all 3 of our shops starting tomorrow, so check back for the announcement and coupon codes! 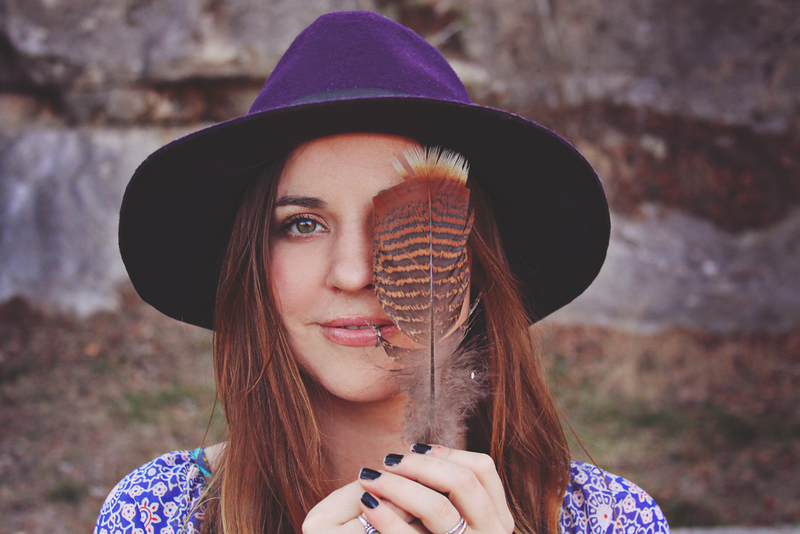 Sincerely Kinsey is having a giveaway on her blog with several items, including a Roots and Feathers necklace!